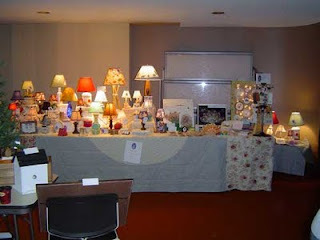 Here we are at WCA Hospital's Women's Auxiliary Craft Show again this year. We started at 7a.m. this year; thankfully we were able to set up yesterday! 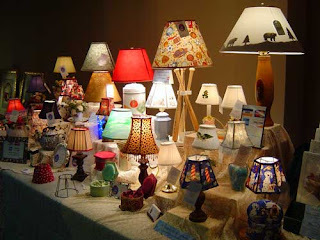 I have a few new handmade lamps. As usual, they are all custom-made. Most of the lamps are for accent lighting, although I do have a few for task lighting. They are perfect for night lights or desk lights. Since they are handmade, no two will be exactly the same. We are hoping for lots of customers today!